Three of New Rochelle's finest complete the Master's course and pose for a picture after being administered the U.S. Coast Guard oath at the Nautical School in Long Island. Capt. Brian Earns His Stripes! Captain Brian Guski of the New Rochelle class of December 2011, completes his testing and poses for a congratulatory picture. Nice job, Capt. Brian! 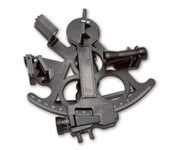 Does Capt. Vince look happy? 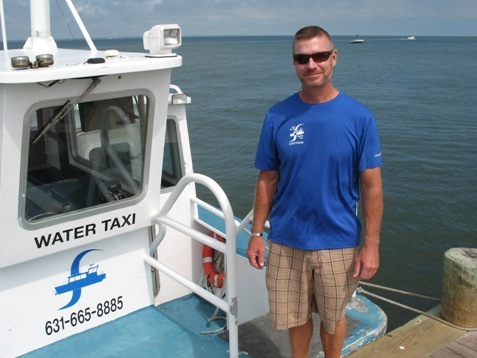 He shoould be; he's been working shuttling folks back and forth between all the communities in Fire Island. Capt. 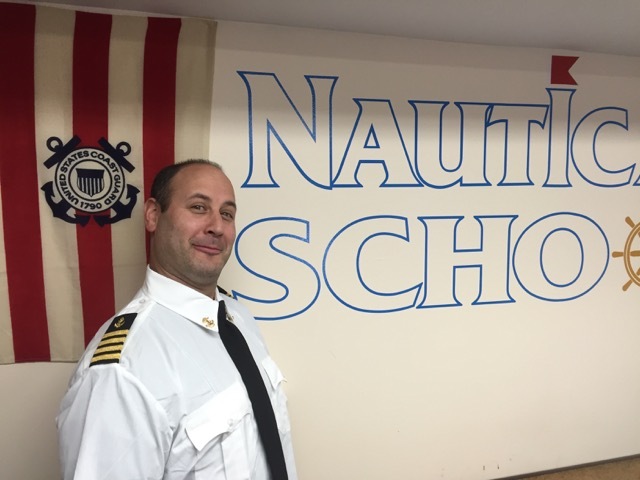 Jeff attended the Nautical School's February course in Long Island along with buddy Dr. Harry and had a great time while navigating through the curriculum with instructor Captain Bill Rivera. 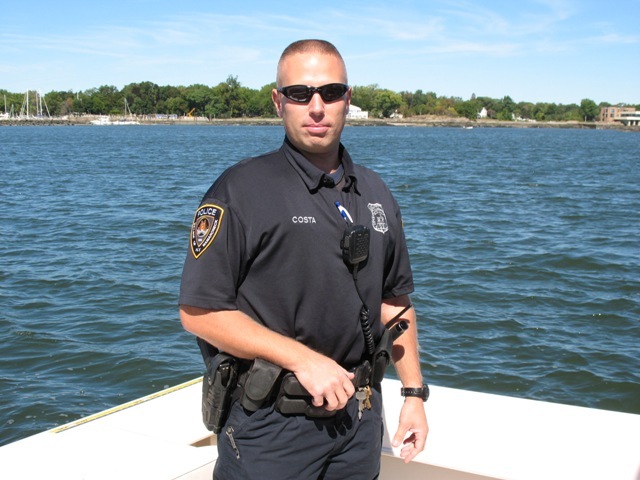 Captain Brian is a graduate of the Nautical School who now works as a law enforcement officer in Rye NY, heping to keep our waters safe. 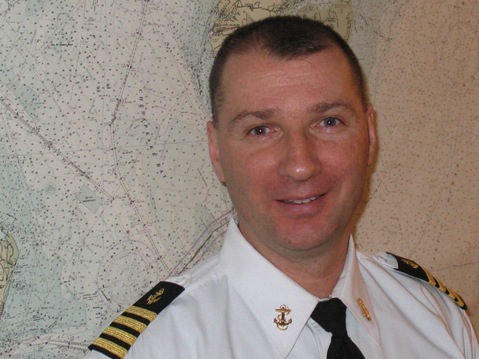 He is on his 3rd season as a Bay Constable and loved the job! 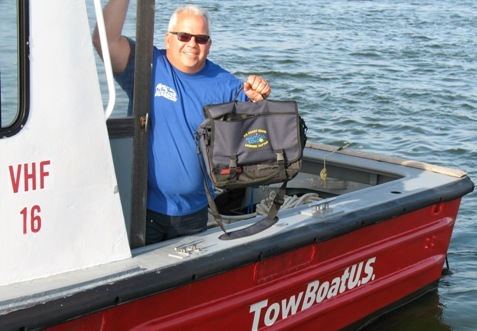 Captain Mike proudly shows off his captain's bag which he takes with him while working for Reynold's Towing on the Great South Bay in Long Island. Nice job, Capt! Capt. Harry Einbender "Hams" it up at graduation! Dr. Harry Einbender earned a new title and it is that of "Captain". 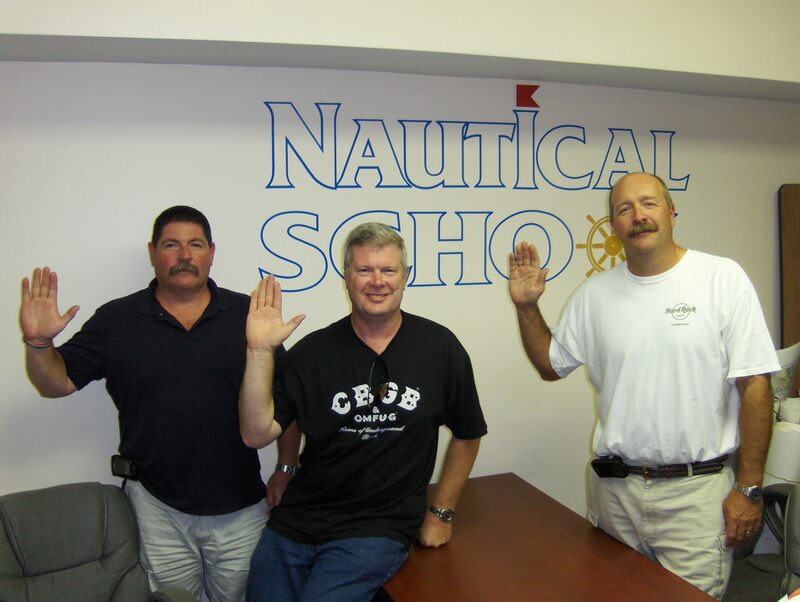 Dr. Harry and pal Jeff joined The Nautical School at our Lindenhurst, NY headquarters and both promptly completed their work and were sworn in as merchant marine officers. Good times with these two at classes! 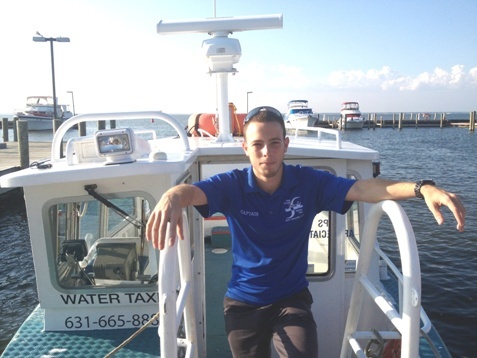 Graduate of TNS proudly poses on his vessel while working aboard the Fire Island Water Taaxi in the beautiful summer of 2014. Nice job, Captain Rick! 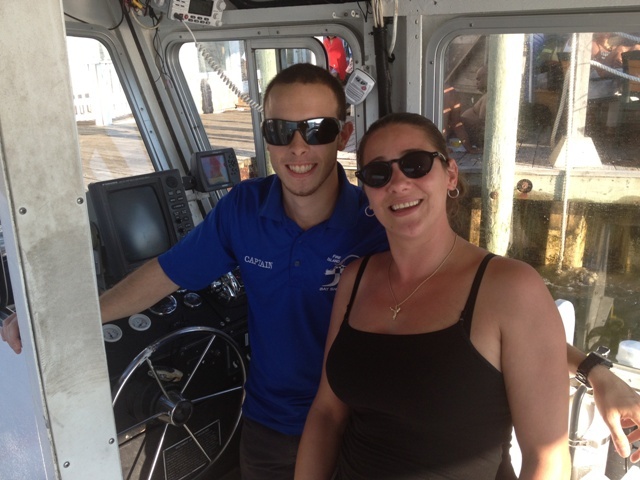 Janine Snow, Enrollment Coordinator for the Nautical School poses with graduate Captain Vince aboard his Fire Island Water Taxi in 2014.